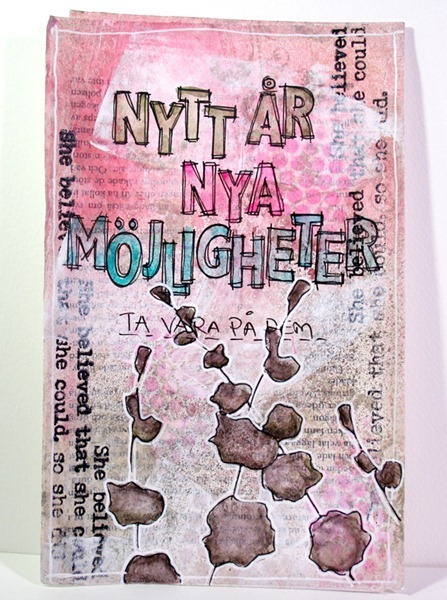 This is also for the CC at Svensk Scrapbooking. I made an art journal page on the theme possibilities. It was supposed to be Mixed Media and it turned out quite nice. I didn’t say a bad word and I didn’t mutter under my breath even. It says New year, new possibilities. Roligt att se dig kladda på också :) Ha en trevlig vecka på jobbet !